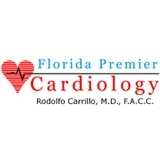 Florida Premier Cardiology (Boynton Beach) - Book Appointment Online! Amazing doctor, so compassionate and knowledgeable. Highly recommend! !